Clean, crisp and immensely satisfying to watch, Joe Fisher’s impeccably timed and technically astonishing display of juggling, movement and rhythm has garnered rave reviews from around the world. 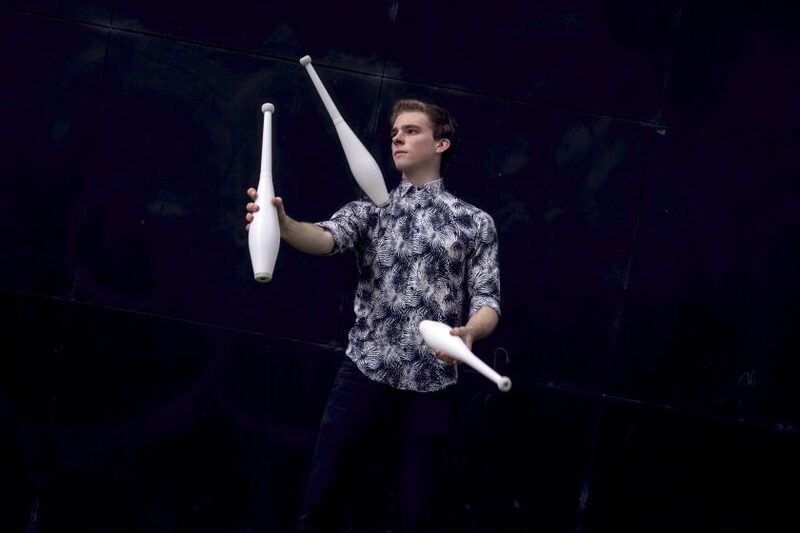 After learning to juggle and joining Tasmania’s Slipstream Circus at age 6, Joe Fisher has been performing non-stop for the 14 years since and has appeared on stages at circus festivals from New Zealand to The Netherlands, the UK’s Glastonbury Festival and The Falls Festival. Recognised for his unique, creative juggling style and attention to musical detail, he currently resides in Melbourne, Australia.